NO.1 F5 Smartwatch Discount – Page 2 – NO.1 Smartwatch, start your smart life. Giveaways Closed! 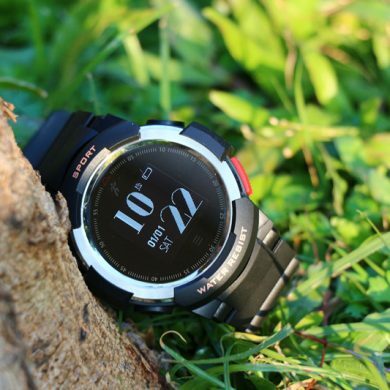 Share F5 Official Webpage: http://en.001phone.cn/no-1-f5-gps-smartwatch-band-html , leave comment in this page, have chance get free prize, 10 pc only. Winner of NO.1 F5 giveaways. We have totally 50 pieces $19.99 F5 and 10 Free as the prize. Congratulations to all the winners. Thanks for joining in this contest. We’ll contact you soon. I used an F5 smartwatch for 1 month. The altitude meter shows below zero from the 2nd week but I live ~240 m above see level. The air pressure measuring is correct. How can I solve the altitude measuring error? Could the F5 be updated with a faster GPS fix? 1. How to get my what’s app calls or message to my watch? I don’t see option in HPlus app? 2. Total salaries burnt including resting calories , how and where I can separate them? Second, you can turn on notifications on device column on app Hplus. I’m having a new problem with my F5 smartwatch. From last week it keeps showing KX023 Err on the watch and the only thing that is working is the time and hard rite. I have restarted is a few times and even tried to reinstall the firmware and nothing seems to work please help. First, open the firmware source code: I need to fix some bugs and improve some features, especially gps and sports activities. when you open the source code, another user can help. second, open the bluetooth communication protocol: HPlus is not so good either. and both have infrequent updates. Hey! I need help! I bought no1 f5 this week, today I wear it for the first time and smartwatch do not count the steps. I do not know if I should turn on something or it just should start counting right away after I wear it. What would happend? Hello Martyna, did you try to reset it? How about the turn wrist to awke the screen function? My no. 1 f5 smartwatch restarts automatically almost every day. This is happening after update manually from 1.63 to 1.66.15. Now when it’s restarts the whole activity resets to zero no back up, so everything is lost. Kindly advise me for the same. Also i have a minor scratch on glass so how to replace it. I think it is a screen protector. Hello Jayesh, thanks for your report, we’ll do some test to figure out what is going wrong. And about the screen protector, sorry but there is no online store selling this. Sorry Denis, it is maximum brightness already. Zdravim da sa nejako zmenit format datumu? The time format, the watch is synced to your phone, but date format, no, I’m sorry, it is not possible to change it. There is a problem with Hplus, since last update few weeks ago it not update clocks on watch anymore. The other app Hplus Watch is updating clocks just fine. I got the F5 with firmware 1.58.7, I tried the app (HPlus 3.3.7) to update and it keeps telling me it is up to date. Now I have tried to upgrade manually to 1.66 and the following keeps happing: uploading (starting DFU-starting bootloader=disconnected-connecting-starting DFU-disconnecting)-upload failed, at the bottom of my screen the following message appears ( GATT INVALID HANDLE) and the watch resets. I live in Sri Lanka where I can’t find F5 in local market..
I’m planning to visit Bali, this week.. Could you recommend a place in Bali to grab a F5? And appreciate your support for the users! Hello Amila, we have some partners in India, but I don’t know where to buy this product, I mean in local market, I don’t know where you can find it, sorry. Thanks for the details Jon! I have bought DTNO.1 F5 watch. Now I have it for a week. Batery is verry good. i have not turn off the watch yet, and it works. Baterry has not drained even a half and I use GPS and sport programs every day. 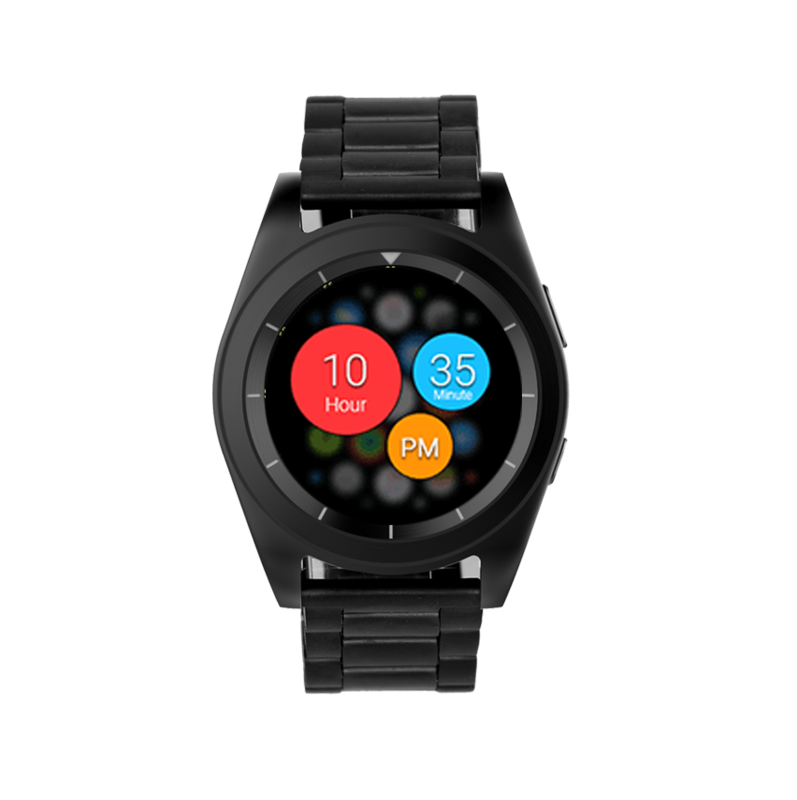 I have a proposal to tell your engeneers to make this watch better together with HPlus software for phone. It could be very helpful to for me as a sportsman (I am a runner) to see seconds on watch, and on HPlus aplication, especialy in “Activity”. I can only see minutes how long I have run, but not seconds. Also stopwatch and counter (programabile) are missing in this watch. I belive that sportswatch must have this two things. One thing what is missing is possibility to store results on computer or in cloud. After running I have tried to share my run on public network with map, but I did not succedit. Only lane without map is wisible on picture, although in HPlus aplication I can see everything. In sportsprogram it could be good to put Gym and Fitness. Now I use in Gym program for Trademill but it is not that what I need. Sometimes, when I work in the night, I sleep during the day. Why I can not setup time for sleep monitor? Also it could be good to se batery in procent. Maybe only in HPlus aplication? Can I buy anywhere protective film or tempered glass to protect display for this watch? But I must say this is a great watch for this money. Other than That, great battery life. I hope I will use it for long time. Thank you like F5 gps Smartwatch and offer suggest, I will feedback to engineer. Is anybody hearing me? Can you please at least provide a video on how to disassemble this watch? Sorry, we won’t recommend users to disassemble this watch. Then what do you recommend to fix this problem? Sorry, but without the watch, I don’t know what is going wrong, I can’t help you, sorry. I have bought No. 1 F5. How can I setup sleep monitor to monitor my sleeping? Hello Julio, the sleep monitor will turn on automatically at 9:00 pm to 10:00 am. Hello sayad, please check this tutorial. 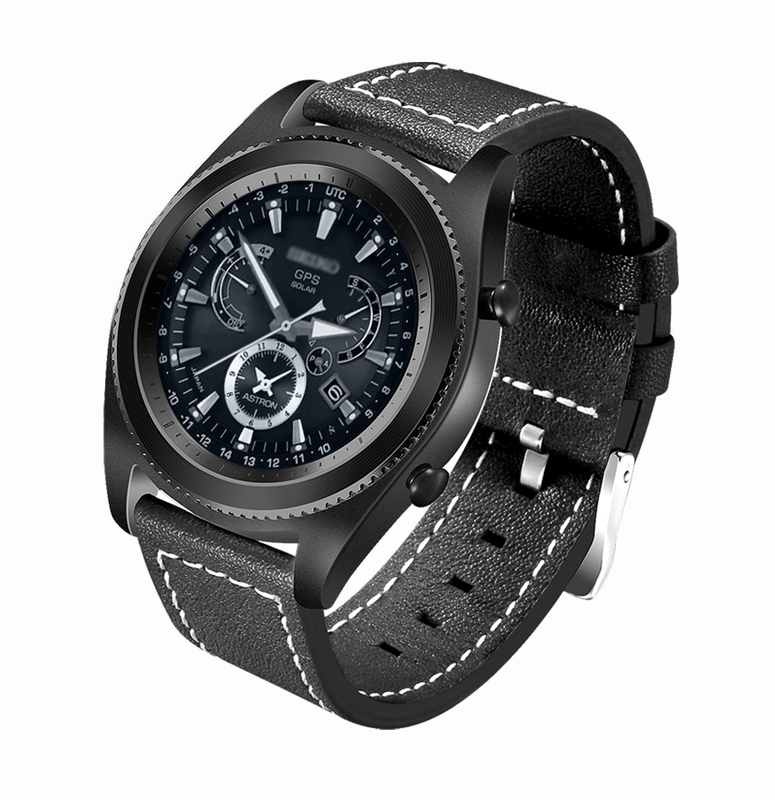 http://www.chinawatchs.com/no-1-f5-how-to-manually-update-the-firmware/ You just need to use the app to update it again. Hello Gabriele, oh, I never thought about this, sorry, I don’t know where it stored, but recently we are working on the exporting the sports data from the Hplus, so that it can be used for other apps. Any news I’ll let you know. Thanks for your report. We’ll try our best. 1. Frequently i am getting connection issues and is there any other app can be used other than Hplus? 2. How to update the firmware, because whenever i try to update via Hplus, app is crashing, Is there any other way? 3. Whenever i sync with Phone all my person settings were reset (like i want my F5 in manual mode for switching display but it turning to Auto whenever sync is performed). In the Hplus, there is an option, auto wake up, please don’t select it. Is there any other app supported by F5 other than HPlus? Yes, the Hplus watch also works with F5. As others reported, when updating to 1.66 firmware, the watch went into a constant vibration mode and is unresponsive. Watch was fully charged. How do I reboot the watch? Hello John, you just need to flash the firmware again and after firmware updated, it will reboot. The watch stopped buzzing after many hours, but now no longer appears to charge. Left on charge all day, watch is warm, but does not turn on. I think firmware 1.66 update bricked my watch. Please advise. How about the pedometer and the auto wake-up function? It would be great if it was possible to sync the data with google fit. Hello Cedric, thanks for your suggestion. But I’m sorry, google fit can’t read the date from F5. I bought the watch in February 2018. In the same month I manually updated the firmware from version 1.58.6 to 1.60.5. Yesterday I wanted to update from 1.60.5 to 1.63.0. During the installation but (about 7%) the update failed. The display is off and the watch just buzzes and vibrates until the battery went out (it took about 5 hours). Buttons do not respond. I wanted to charge the battery again. When I connected the watch to the charger, it starts buzzing and vibrating again. After a poor update, the watch is down. What can I do with it? Hello there, sometimes it happened but don’t worry, you just need to use the firmware/app to connect the dead watch and then update the firmware. (Make sure your phone screen is lit) After the installation goes to 100%, the watch will be alive again. Any idea why the notification functions doesn’t work consistently? Text messages used to show up then it stopped. Please help! Hello Sean, check the notification settings in the HPlus app, if it is because you occasionally closed it. If it still not works, unbind and reconnect will help. The latest 1.63 firmware seems to drain battery faster than the original I had 🙁 Can you pls fix it? Also add 24h clock format, stopwatch,… pls. Thanks for the tip I will try the 24 hour format. There seems to be problem when I turned off my F5. I don’t use it all day so I turn it off. I turned the F5 off for 2 days with half of the battery and when I want to turn it on it says low battery. It is not properly turned off or something some sleep issue with firmware. Pls test it and fix it, it’s really bad thing for me. Thank you. I’ve updated to 1.66, but the problem with draining battery when F5 is turned off is still there. I’ve charged F5 to full battery and turned it off for 24 hours and when I turned it on there is less battery 🙁 Pls fix this problem with draining battery when F5 is off. Thank you. Hello Mattthev, thanks for your report. I’ll tell our engineers about your report. Did you make a reset after you update the firmware? I’m afraid that the GPS is on. It seems that it is fine after factory reset, maybe some bug. Battery is not draining when it is off. Thank you. Buongiorno ho scaricato i vari firmware del mio F5 ma ho riscontrato diversi problemi sopratutto con la connessione del GPS. La prima versione del firmware non mi dava problemi è possibile scaricarla? Mi indicate il link per scaricare la versione 1.58.6. Scusa Jon ma come mai non si può avere la prima versione del Firmaware? Does the latest version not work for you? I don’t have the first firmware version. There is a important update in the latest version. OK Gabriele, which version do you want? I’ll check if I have the firmware. Hello Gabriele, thanks for your feedback. Because usually you start to exercise after the watch is positioned, you don’t need to manually press the button to start to exercise. Too bad – could be good but the fact that all your data is not synced to an account means it can all disappear if you use a different phone or ever replace the F5. The app needs serious work, as does the firmware on the watch. For example, we need the ability to delete gps workouts. Hello John, the watch will store the data and you can also sync the data to the HPlus app, but yes, you are right, there is no option to save in an account, if you use another phone the data will be erased. After two months of use in running, completely unfinished, like many Chinese products, simplistic Hplus application. Could be good but would require a very very big firmware update, and a serious and intensive work for developers. Only the price is good but if it doesn’t work properly it’s not a good thing. Hi Jon, I am running this firmware, and it is good that the GPS is improved, but some more improvements are needed still. The tracking of activities is very limited (not what we see during the activity, but what we get in Hplus), and we need some kind of export (at least GPX, if possible TCX). The addition of “Find your way back” will also give a better usage of the GPS. Hello Alain, thanks for your suggestion. Not sure if this watch supports these features, I’ll ask our engineers about this. The export of GPX is very important and it should be improved as soon as possible. 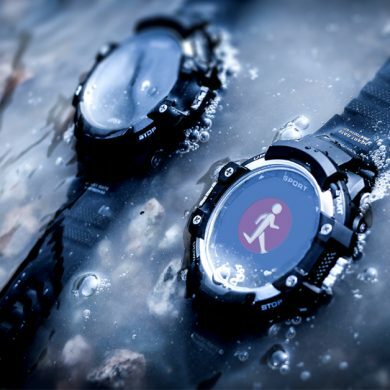 Now usages of this smartwatch are very limited. Thanks for your suggestion, John, any good news, I’ll keep u informed. I’ve bought F5 on Gearbest they have told me that I can turn off bluetooth on them, but it’s not possible. I don’t use F5 with my smartphone since it’s not really necessary, I would love to see option to turn the bluetooth off and not radiate BT all day long without any reason. Could you please add option for disabling BT? It’s the only thing I don’t really like on my F5 and screen brightness is not working no matter if I set 1,2 or 3 it’s always the same 🙁 and also the display isn’t very straight placed it’s a bit askew, but it’s fine. I’ve also installed the firmware from guide you have posted and it’s much better, the new GPS interface is awesome. Is the Hplus app working for updates? I had 1.58 version and it was showing I that have the latest firmware, but in the guide there was 1.60… so OTA updates don’t work? Thanks for your suggestion. I’ll tell our engineers about this. Hello Mattthev, it is a pity that the bluetooth can’t be turned off. About the latest HPlus app, you can download it from Google Play. Could you please add turning off bluetooth function? I have latest Hplus, but it always says latest firmware, but even it’s not true. Hello Mattthev, I’m sorry, I don’t know if it is possible to add the option to turn off bluetooth. There will be a new firmware, it improves the GPS positioning interface. About the brightness, I’m afraid we can’t improve it, it is the hardware, the limitation of this kind of screen. We manually set the maximum brightness. On the web site showing support Thai language. But for notification message the watch not support to display Thai language. How to configure it to display Thai language correctly ? Hello Chaowanin, the notification will be the same as your phone’s language, but the app may not support Thai, only English. I tried to record some of the activities, I tried the basketball one, saved it but I can’t see it in the phone app. Looks like the app only shows 4 activities (walking, running, hiking, biking), there’s no way to measure swimming on the watch, but on the app it shows as an option in the “Goal” section. On the watch, there’s option to record treadmill, basketball, badminton and soccer, but does not show on the app. Please let me know when the next update will be and if it will address these issues. Thanks! Yes, F5 doesn’t support swimming, you can check all the sports in the history. By when will a firmware and application update be available? I would like to be able to receive whatsapp notifications and that the smartwatch detects the steps better. I have a problem with time format (there is only 12h possibility). F5 actual FW is 1.58.6. I have used your offered SW http://www.chinawatchs.com/no-1-f5-how-to-manually-update-the-firmware/ to upgrade FW to 1.60.5, but w/o any success. The final message was “upload failed: GATT INVALID HANDLE”. I have tried and APP HPlus (version 3.1.7) there is info that “latest version already”. Why I can´t upgrade the FW ? The problem is solved. I have used another phone with Android 6 and everything is OK. My current phone has Android 7. Glad that you solved it by yourself, sorry for the delay, we just finished a long vacation. Hello Larry, usually you need to click the sync button manually to sync the data. what kind of activity you need delete? Hello giorgio, sorry, this watch does not support changing watchface. The firmware upgrade page leaves out steps and it wont work for me. Do you install the firmware APK through the DRU app by selecting “Application” as the type? I tried all options but the DRU app states the firmware APK is an “invalid file”. The upload button is never available. Please assist. I figured it out. You need to explain that the firmware is incorporated within the standalone app, in the linked APK. I installed the DRU app first and was trying to load the linked APK as the watches firmware – confusing documentation. Hello John, please check this tutorial. 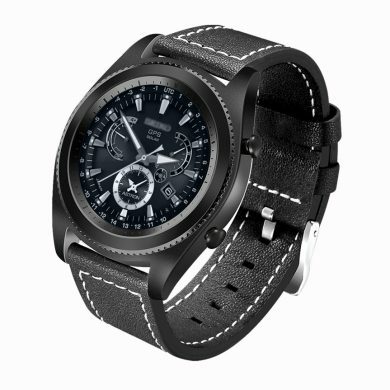 http://www.chinawatchs.com/no-1-f5-how-to-manually-update-the-firmware/ Just download the app and connect to F5, upload the firmware, done. Hi,how can i change laungage? What language you want change, app language or? 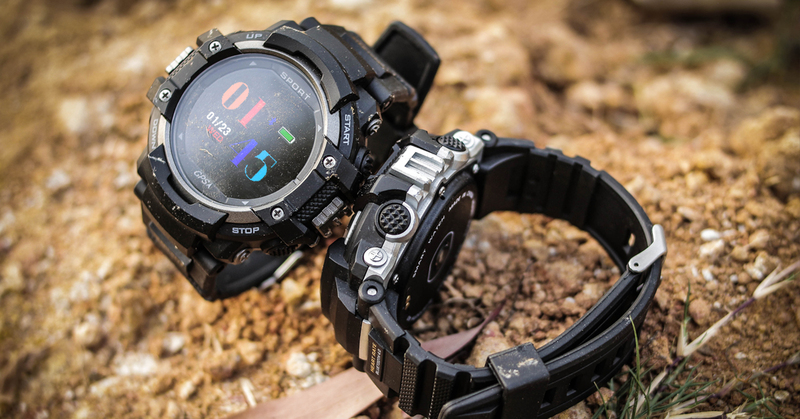 Hi, I wonder if you have any plan to openaource the firmware or making an sdk for this great F5 watch? Pebble did it. 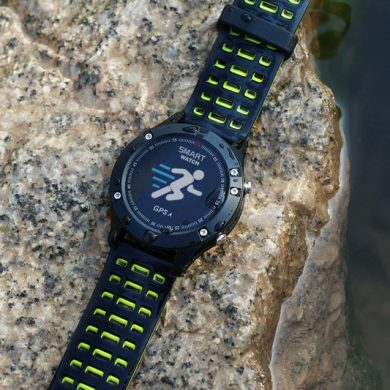 Garmin also did it. This will attract more hackers/developers to make the watch better. I, a developer, included. Please email me if you plan to openaource it. We trying to do this, while have any update, will update in this website. you can focus on us. •There is no export of the gps track towards Strava or other systems. •You can not configure the altitude, on the smartwatch there is a reset but only at sea level and I instead live in mountain. Is it necessary configure the altitudine before each trekking but I can’t go to sea in order to reset. 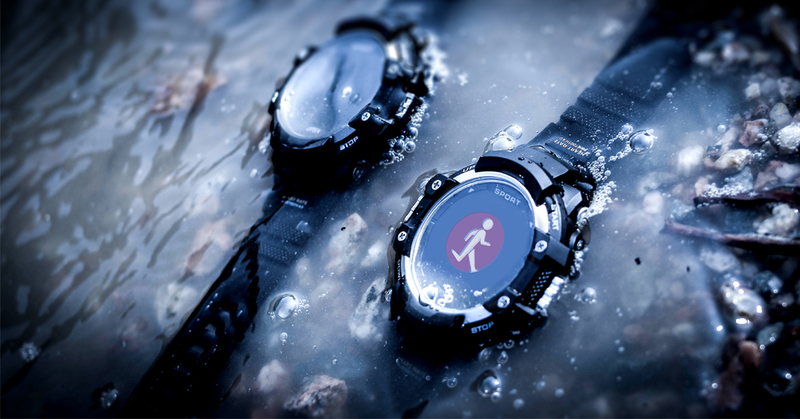 http://www.chinawatchs.com/no-1-f5-how-to-manually-update-the-firmware/ Hello Matteo, thanks for your report, about the map, please try our latest firmware. It is a pity that F5 can’t export the GPX file and the altimeter, it is a Relative height measuring. Yes, the whatsapp doesn’t show in the F5, it is the problem of the Hplus, you can try the HPlus Watch app. I heard that whatsapp notifications work well with it. Buongiorno ho installato manualmente l’ultimo aggiornamento del mio F5 v1.60.5 e ho notato un problemino. quando vado sull’orologio ad impostare la data e seleziono il mese il display inizia a lampeggiare in modo anomalo. Inoltre darei un suggerimento per il prossimo firmware, l’accensione del display con il movimento del polso attualmente ad ogni movimento il display si accende e si spegne questo procedimento non è molto funsionale quando si fa sport perche avvolte basta un movimento per far si che il display si spenga. io suggerirei che una volta acceso il display per il movimento del polso si debba attendere il tempo impostato per lo spegnimento, e non che a ogni movimento il display riceva un imput di accensione o spegnimento. I think your engineers should lean on the screen brightness of no1 F5! … can not see in daylight, that makes it insufficient! Thank you suggest, we will going to update brightness of F5. The brightness I see at level 1 equals level 2 and 3! 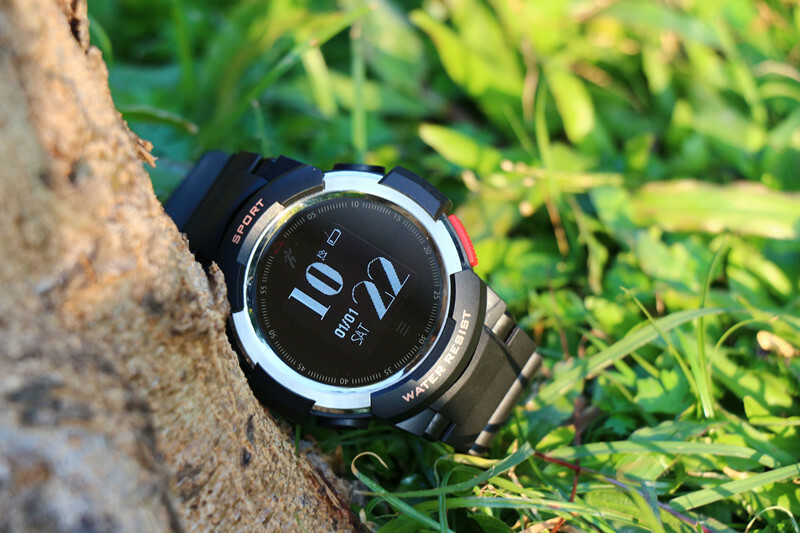 Is trouble because to do outdoor workout you can not see the watch face. Brightness have improve, but can not see 100% clear under sun. it is hard to make very clear under sun. Hello Jorge, sorry, they are still testing the 1.6.1 version, this current one still not have the new interface. 😐 They’ll release it soon. Hello Jon, I already managed to sync with the hplus watch and the track and the map already appears to me. However it is very difficult to get the GPS signal. Is it possible that the smart watch will ever be able to connect with strava or have a better support app ???? Hello Bruno, I know you runners all like Strava, but I’m afraid it isn’t able to connect to strava, our engineers are working on the HPlus to make it possible to export the GPX file. Hope they could add this feature in the Hplus. Hello John, GPS works perfectly, activates and records the route, but the map (google maps) does not appear , Just the route. What is the latest ios firmware? Hello Bruno, the latest app version is 2.1.3. There is also a new firmware, please check the firmware update. Hello there. Is the heart rate 7/24? Yes, Larry. F5 supports continuously heart rate measuring. Hello Jorge, sorry still no reply from our engineers. I told them about the HPlus watch could receive the WhatsApp notifications and … Sorry. About the brightness, make sure you have choose the level 3 and … sorry. Hello Jorge, I’m sorry, but nope, I asked our engineers many times about this. But still no progress, the brightness can’t be increased. Hello nino, sorry, this kind of color screen is not as like the LED screen. hello Jon recently bought an F5 and when I went to test run gps tracking appeared the track of the race but the map was blank !! I have tried to update the firmware but the download is an apk file and I have Iphone I can not update. Also check the HPlus update to see if there is a new version, go to Mine-firmware version, you can also check the firmware update. Hi, I installed the firmware according to the instructions. The time format is fine. After connecting your Bluetooth watch to Hplus, the time format will again change to 12h 🙁 I have to reboot the watch to factory settings. Hello Hns, thanks for your report. The pedometer issue, yes, I received this issue before, hope they will fix it soon. Hello, I have been tracking that the transition to the 12h format is at 12:59. Then it will show 1:00 instead of 13:00. Where can I find new firmware information? Hi, thank you for you answer. I updated the firmware according to the instructions and everything is ok. time is in the correct format. But when I connect my watch to the Hplus application, the time is again automatically set to 12h format 🙁 I have to restart my watch to factory settings again. 3) Hplus full of bugs and translation to Italian is awful. Give a feature tu choice a diffrent language. The altimeter is a Relative height measuring. Not the same as the barometer measuring the Air-pressure. 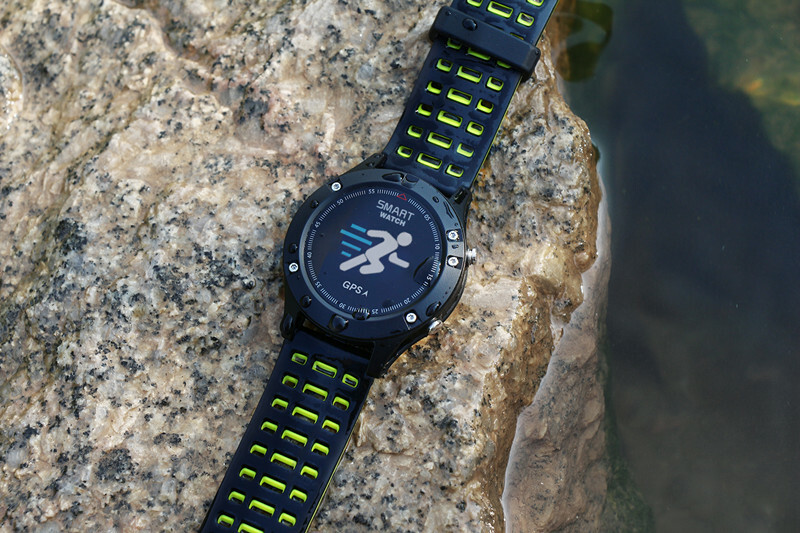 Although F5 is IP67 waterproof, we are not recommended to take it for swimming, because the barometer sensor, we could not create a highly sealed frame for it. Have a problem with the watch No1 F 5. Cant connect it with any phone. It just does not show up anywhere. The watch is reseting itself after every 1-2hours. Does not allow to turn on GPS. Hello Luigi, the pedometer will reset automatically. Hello Luigi, when does it reset? How many times it happens? Sorry, but this is weird, no one encountered this before, we need more info to solve it. OK, Luigi, thanks for your report, I’ll tell our engineers about this info. Sorry, but the contest is closed. Hello Jorge, you did not get a positioning before your running. How to use the F5 GPS, please check this. 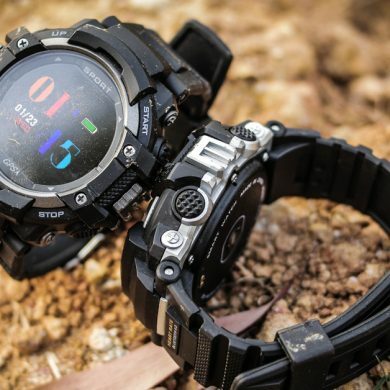 http://www.chinawatchs.com/how-to-use-the-gps-in-smartwatch-f5-to-start-running/ And about the WhatsApp notifications, as I said, most Chinese watches do not support this. Actually we are working on this, but since we can’t use WhatsApp, it’ll be difficult for us to test it.